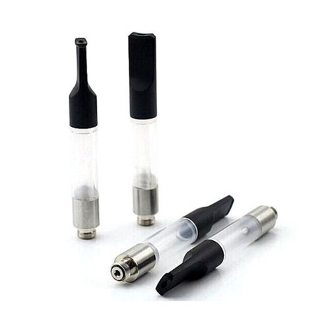 The CBD Clearomizer is a 510/eGo threaded electronic cigarette device meant for the use of CBD liquid/oil. It's a small portable clearomizer that can work with almost any style of eGo/510 threaded battery for a smooth vaping experience. The CBD Clearomizers are filled through the top, making it easier on the user with its mess free construction.